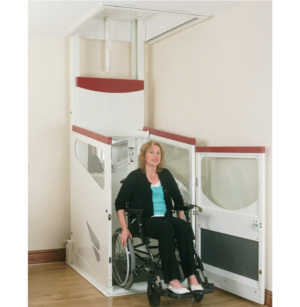 Vertical, or through floor lifts, enable an individual to move from one floor to another within their home. Although versions are available that carry a seated or standing passenger, most are designed for wheelchair users. They enable wheelchair users to travel between floors in their wheelchair, avoiding the need to transfer from the wheelchair and onto, for example, a stairlift. 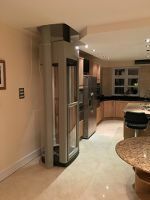 However, vertical lifts need more space than a stairlift and it is sometimes necessary to make structural alterations to the property. 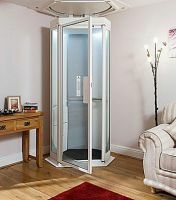 Vertical lifts without a shaft are commonly used in home environments as they require less structural alterations than lifts with a shaft. 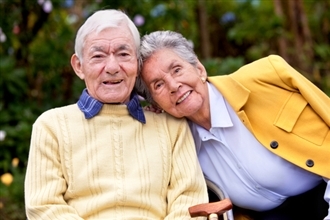 When considering which type of lift, and which features, best suits your needs an individual assessment with an occupational therapist is strongly recommended. On through floor lifts the lift car is either partially or fully enclosed and usually travels up and down a wall-fixed track/s. Partially enclosed cars enable the user to see outside and may be more suitable for users who do not like enclosed spaces. The doors on both totally and partially enclosed carriages are electronically interlocked as a safety precaution so that they can not be opened when the lift is moving and the lift will not move if the door is open. In order to travel between floors a trap door or aperture is constructed in the ceiling / floor which automatically opens and closes. When the lift is on the ground floor the gap in the ceiling is covered by an infill that matches the ceiling of the room, whilst in the upper room the infill blends in with the carpet in that room. 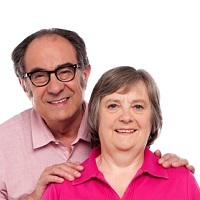 Plan ahead to ensure that the lift will be suitable for the size of any wheelchair/s that may be used in the future, and for the combined weight of the wheelchair and occupant. It is essential that the lift is installed by a qualified engineer, that regular maintenance is carried out and that lifts are inspected and tested to the manufacturer's requirements. For many lifts this is an inspection every six months by a qualified lift engineer. 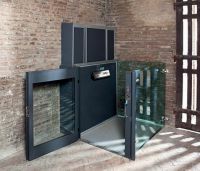 Read our advice on will a through-floor lift be practical in your home.